Billionaire Anil Ambani’s Reliance Communications Ltd. crashed by record in Mumbai after the company said it will file for insolvency following failed attempts to sell assets and repay about $6.3 billion of debt. Shares of RCom, as the company is called, were trading at 7.01 rupees at 10:25 a.m. in Mumbai, down 39 percent. The company’s dollar-denominated bonds due November 2020 rose 2 cents on the dollar to 25.02 cents, the biggest move since Sept. 20, according to Bloomberg prices. 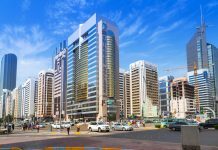 The company agreed to approach the National Company Law Tribunal after failing to pay lenders for the past 18 months, the company said in a statement. Ambani had agreed to sell RCom’s towers, spectrum and fiber assets to older brother Mukesh Ambani’s Reliance Jio Infocomm Ltd. for 173 billion rupees ($2.4 billion) in 2017 to fend off bankruptcy action by creditors. The brothers have since wrapped up smaller deals but hurdles such as approval from the Department of Telecom stalled others. The decline of the company that was once India’s fourth-largest mobile-phone service provider highlights the travails of the industry that borrowed heavily to expand in a market where tariffs are as low as 1 cent. 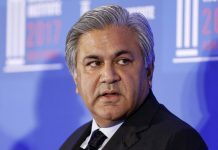 The entry of Anil’s older sibling with free calls and cheap data in 2016, reignited a price war that prompted Vodafone Group Plc.’s India unit and Idea Cellular Ltd. to combine and forced billionaire T Ananda Krishnan’s Aircel Ltd. into bankruptcy court. 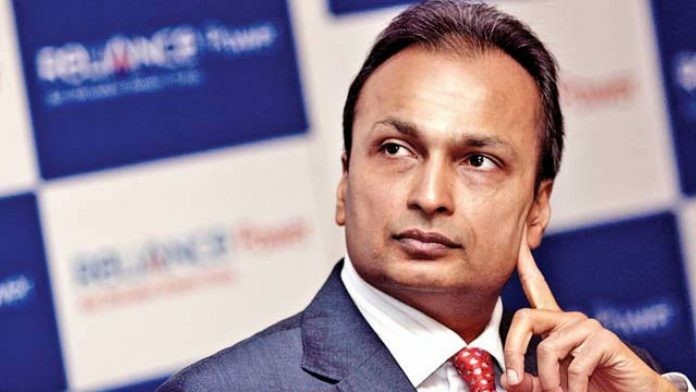 “The adoption of bankruptcy proceeding for RCom at one level speaks of deep challenges owing to the high leverage the company has faced,” said Mumbai-based Alok Shende, principal analyst at consulting firm Ascentius Insights. While insolvency proceedings “will give breathing space to RCom, the overall drivers for the industry remain challenging,” he said. The move to go to bankruptcy court comes after India’s top court in January relaxed rules forbidding founders or entities related to them from purchasing assets admitted under the insolvency process. That may enable Ambani’s older brother and Asia’s richest man to bid for RCom’s assets. “Challenges raised by unreasonable minority lenders can be now be overcome through the National Company Law Tribunal’s 66 percent majority rule, against the 100 percent approvals rule outside NCLT,” it said. It added it expects a fast-track resolution in 2019 and stays confident of prospects as a going concern. RCom sued the Indian government for not clearing its deal to sell telecom spectrum to his brother. The local unit of Ericsson AB filed law suits against RCom after the Mumbai-based company repeatedly failed to honor dues. “Untenable issues raised by Department of Telecommunications that frustrated the existing plan can now be addressed under the NCLT process,” RCom said. The company sees “substantial” unsustainable debt extinguished under the bankruptcy process. Ambani had said in December 2017 that there would be no write-offs or equity conversion for lenders and bond holders as his company neared assets sales that would help it cut total borrowings by $5.5 billion. Ambani said in June of that year that RCom’s debt reduction plan would be the largest in India’s history and would create long-term value for shareholders. Shares of other Anil Ambani group companies also slumped on Monday. Reliance Capital Ltd. plunged 13.5 percent and was headed for the lowest price since June 2005. Reliance Power Ltd. and Reliance Naval and Engineering Ltd. dropped to the lowest-ever prices in Mumbai.